or this drought, or for El Niño rains? 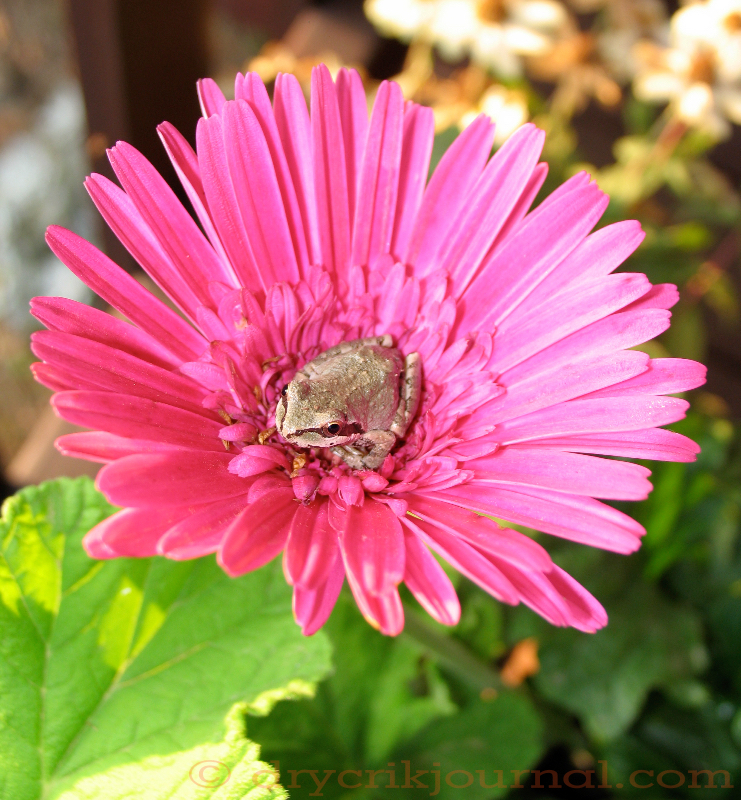 doesn’t matter to a tree frog. This entry was posted in Photographs, Poems 2015, Ranch Journal and tagged El Niño, old farmers, signs, tree frogs, water wells, well drilling rigs. Bookmark the permalink. Sorry Angeline, the chances of recharging the aquifers out in the Valley are pretty slim. It will take floods in the magnitude of 1867 when food and freight were shipped to Visalia from Stockton by boat in the middle of May 1868, when the Tulare Lake spread across the Valley. It is so great to see frogs. When I was teaching an Environmental Course to my secondary classes I always said that a frog was like the thermometer your mother uses to take your temperature to see if you are sick.Most kids had no idea because most mothers had no idea. And maybe we could learn something from our old people. I suspect they know what we do not.